Francesca Russo is known best for her year as Project Manager of the Summer University Coordination team. 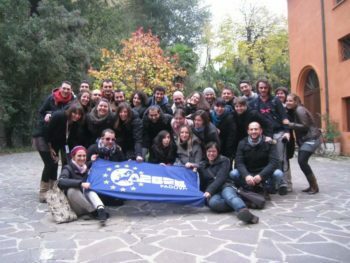 The energetic member of AEGEE-Padova recently joined the alumni association Les Anciens. Check out this interview and find out how she joined AEGEE when she was still in high school, how she walked barefoot for five kilometres after not finding her shoes anymore at an SU and at which events you can meet her this year! GT: When and where were you born? 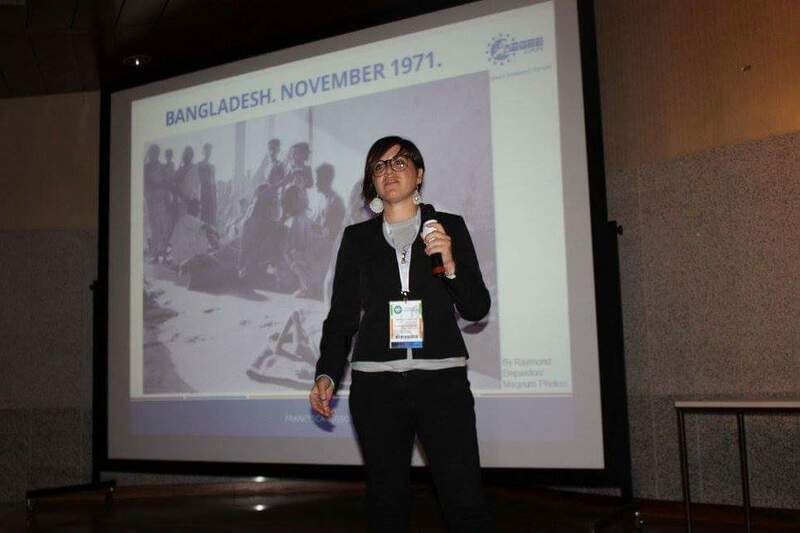 Francesca Russo: I was born on the 8th of December 1987 in Foggia in the heel of Italy, but I must confess that I saw this place for the first time at the Network meeting in Foggia in 2013. I have lived all my life in north east of Italy! GT: Where and what did you study? Francesca: I did my bachelor and master in Statistics – with a focus on social issues – in Padova. GT: When did you join AEGEE and how? 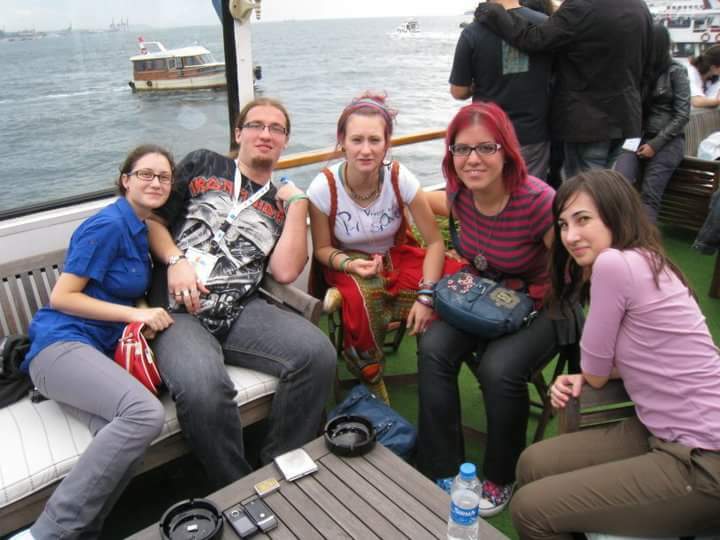 Francesca: I joined AEGEE during my last year of high school, back in 2006, for a Summer University. I stumbled upon an article published by a famous website for students about these summer holidays. It looked good so I went to the closest local to my hometown, AEGEE-Treviso, to get more information. I applied and I went to Leiden in the Netherlands where I experienced the AEGEE spirit for the first time. Anyway, things didn’t go that smooth: after the first active year in AEGEE-Treviso I joined only a couple of years later, in 2010, by chance for an Agora – and that was when I became really super active in the association. 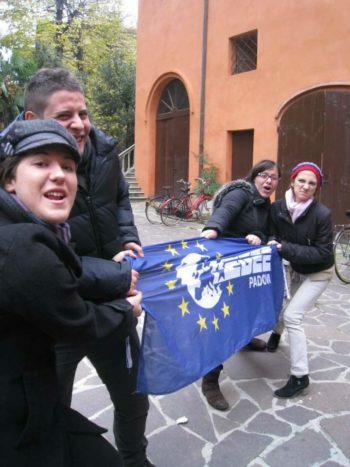 Francesca taking her stolen flag back at NWM Padova 2012. GT: Are you still member? If not, when did you leave? Francesca: I am still a member of AEGEE-Padova. GT: What was your favourite AEGEE task or your greatest achievement? 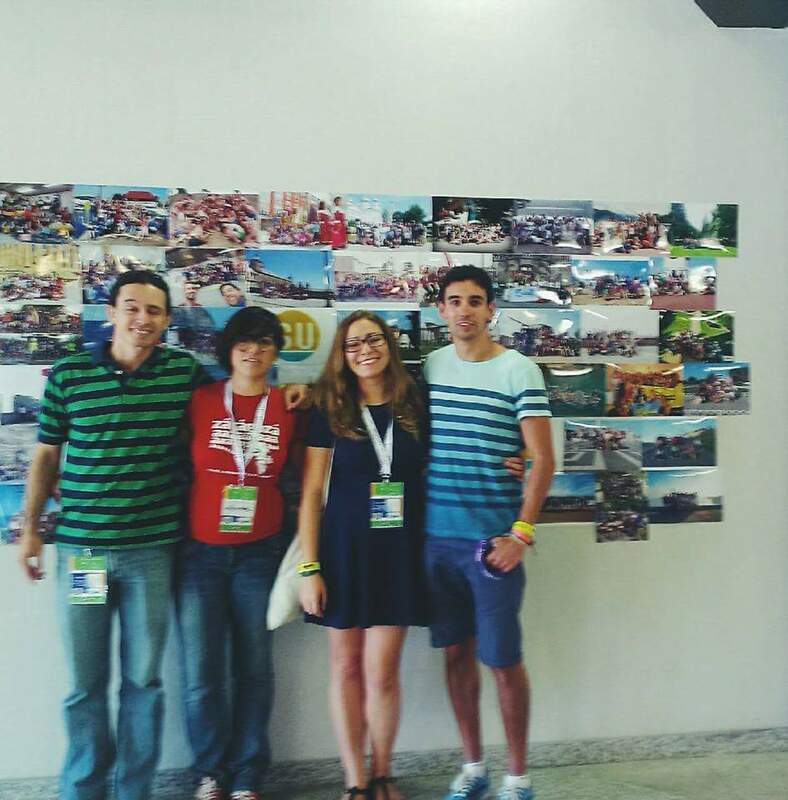 Francesca: Being a European School participant has always be my favorite AEGEE task! Anyway I liked a lot to manage events. GT: Tell us a funny story of your AEGEE time. Francesca: There are too many funny stories to tell… I will tell you some. For example: walking barefoot for at least five kilometres on pavement on an early morning of our Summer University, because I partied too much and the cleaning machine buried my sandals. 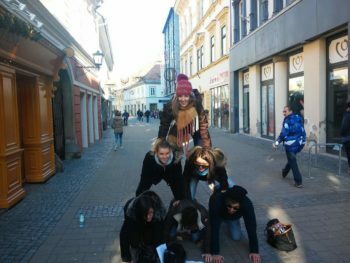 Another funny one was doing a human pyramid for a city rally in one of the main walking roads of Maribor or sleeping on a row of chairs because I came to help without a mattress or sleeping bag. The last one I will tell you is a classical one: drinking from a bottle thinking it was water and discovering too late that it was vodka! The human pyramid in Maribor. 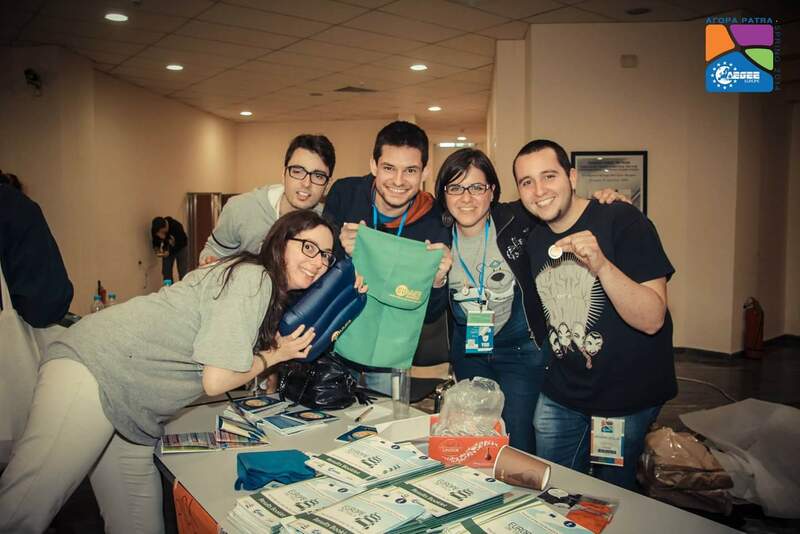 GT: What was your favourite AEGEE event as participant or organiser? Francesca: Tough question. It depends on the parameters you are looking at: Network Meeting Pisa 2011 for the fun, the European School of Entrepreneurship in Santander in 2012 for the topics and the trainers, EBM Valletta in 2013 for the lodging and round tables, New Year event Maribor 2017 for the people and the parties, Summer University Tallinn-Tartu 2015 for the organization… and Agora Cagliari for the food! Francesca’s favourite events are Agoras. In Bergamo last year she was one of the most experienced helpers. GT: What were your best and worst moments in AEGEE? GT: Which AEGEE members impressed you a lot? Francesca: There have always been too many impressive people in AEGEE! I can mention just a few of the ones that come to my mind, in random order, but there are many more! Alberto De Nardi – with glasses – for his strategy to make a small local big; Magdalena Pawlowska, because she best expresses the mentality to party hard in the evening and train people even harder in the morning; Réka Salamon for her persistence, her tenacious attitude and inspiring love for AEGEE; and all the CD board 2012-2014 for their clear vision of AEGEE identity when there was almost none. GT: Any things you regret that you haven’t done them in AEGEE? Francesca: I am happy with what I did, even if there were a couple of SU where I was accepted but couldn’t make it. Anyway, there are a few things I still would like to do: being a trainer in a European School and the Transiberian Dream SU. I hope I can make it this year at least for the SU. GT: What do you expect from Les Anciens? What kind of activities or events would you like to participate in? 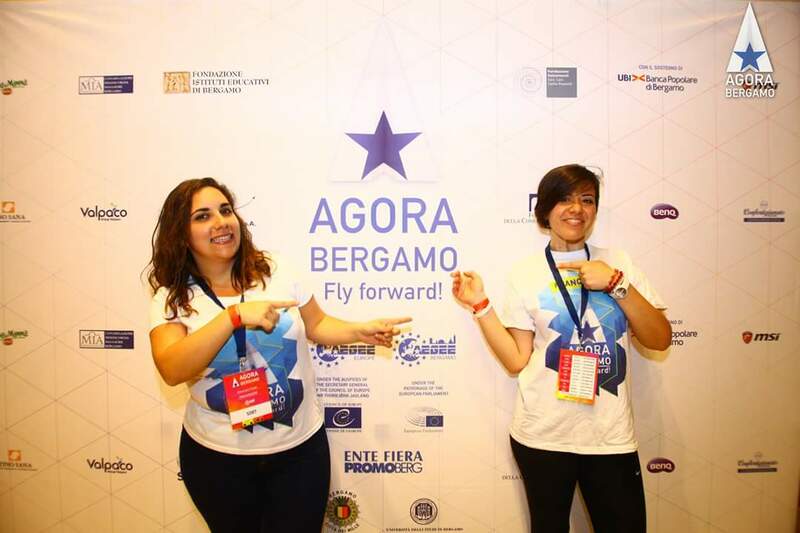 Francesca: I would like to keep the AEGEE spirit alive! So I would like to participate first in the general assembly and then in some visits around. GT: Where do you live now and what are you doing now as main occupation? Francesca: I am working in a multinational consulting company as functional analyst for a bank. At the moment I’m in a project in Parma, but I don’t know how long I will stay here. Francesca’s SUCT elves in Agora Patra 2014. GT: Did AEGEE influence your career decision or help your career? Francesca: AEGEE helped me a lot to learn more about myself and influence my desire to be in a cooperative, international environment. GT: As a child, what did you dream to be your future job after growing up? Francesca: It’s funny, but I have always lived the moment so even as a child I don’t remember having particular dreams about my future career. Once in primary school, when they asked us to draw our future I drew a cello player. It was what I was working on at that moment, I did several years of it. Quite different from what I did after all. GT: Are you single/married/married with 5 children? Francesca (smiles): No sight of children yet. GT: Which languages do you speak? Francesca: I speak Italian, English, Spanish and getting better with French. The furthest place Francesca has been to is Istanbul – at the Agora in 2010. GT: What is the furthest place you ever went to? GT: Which country or city would you like to visit in the near future? Francesca: My must-visit place for this year is Prague. Let’s see if I will make it this spring! GT: What are your hobbies? Are you active in other associations? Francesca: I’m an events/associations and self-help lover. I have become part of different associations and movements during the years. Now I am still active in the Red Cross as youth, I am cooperating in the Veneto lab of Incitement Italy, I am participating in the SCI – Civil Service Italy – and I am still supporting AEGEE-Padova. And now I am also member of Les Anciens. Francesca is still a member of AEGEE-Padova. GT: What are you most afraid of? Francesca (smiles): Afraid? What does it mean being afraid? They say go out of your comfort zone. So I try my best to follow this mantra if fear comes! GT: What’s never missing in your fridge? Francesca: In my fridge there are always tomatoes. We need healthy color in life …even in the fridge! GT: How would you describe yourself in five keywords? Francesca: Happy, active, energetic, determinate, organized.